I was definitely a bit behind this year and we only started doing Thanksgiving activities for kids the day before Thanksgiving. But no matter, we still had a lot of fun! 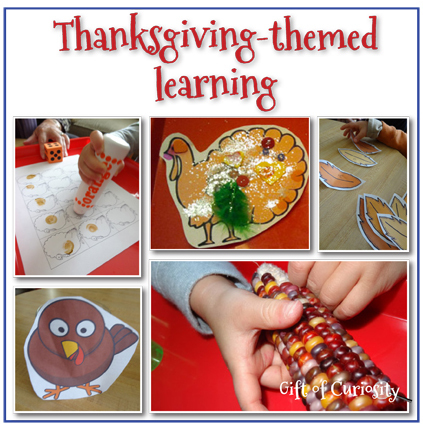 Here’s a rundown of the Thanksgiving learning activities and Thanksgiving crafts we did this year! 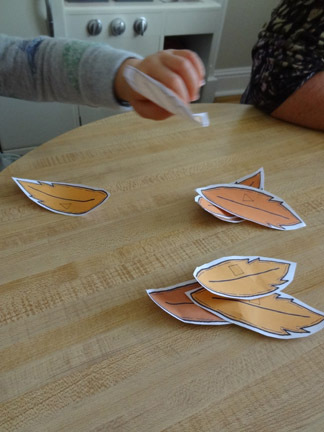 I saw an idea for a turkey feather hunt at No Time for Flashcards that I thought would be fun for the kids. 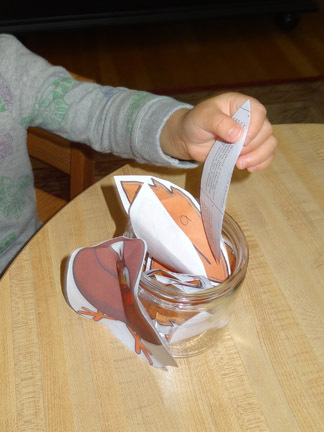 I taped a picture of a more-or-less featherless turkey to a jar, and then hid feathers all around the living room for the kids to find. They enjoyed the feather hunt, but had even more fun when Grandmum and I allowed the kids to hide the feathers for us to find. They got absolutely giddy every time we found a feather they had hidden, which was just so much fun to watch. 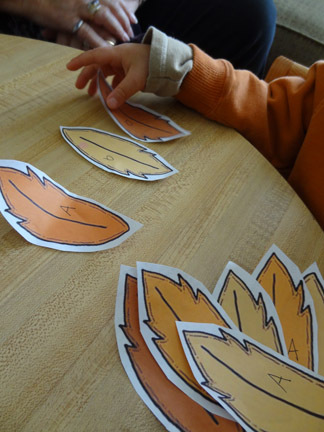 In preparing the activity, I had drawn either a letter or a shape on all of the feathers before hiding them. So once the kids were done with the hide-and-seek portion of the activity, the kids sorted them. QBoy sorted feathers with either an uppercase or lowercase letter A on them while XGirl sorted squares and triangles. For another activity I made a chart with 15 turkeys on it. 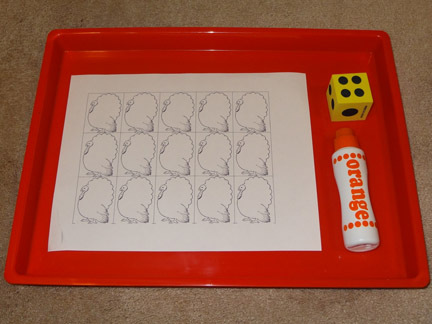 For each kid, I put the chart on a tray with a large dice and a dot paint for them to practice some turkey math. 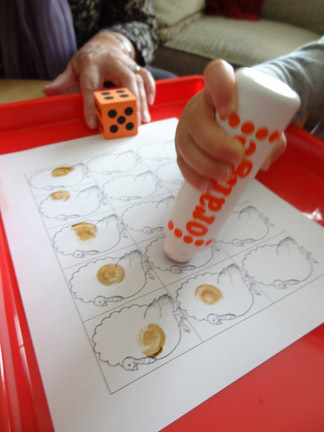 The idea was to roll the dice, count the number of dots on the dice, and then use the dot paint to dot that number of turkeys. As soon as the last turkey was dotted, the player wins! One challenge was to help the kids dot the turkeys in order from left to right and top to bottom. 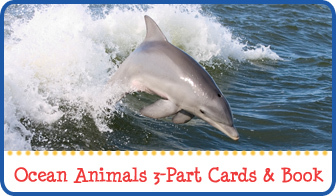 Although QBoy mostly does this, XGirl would dot them in totally random fashion if left to her own devices. 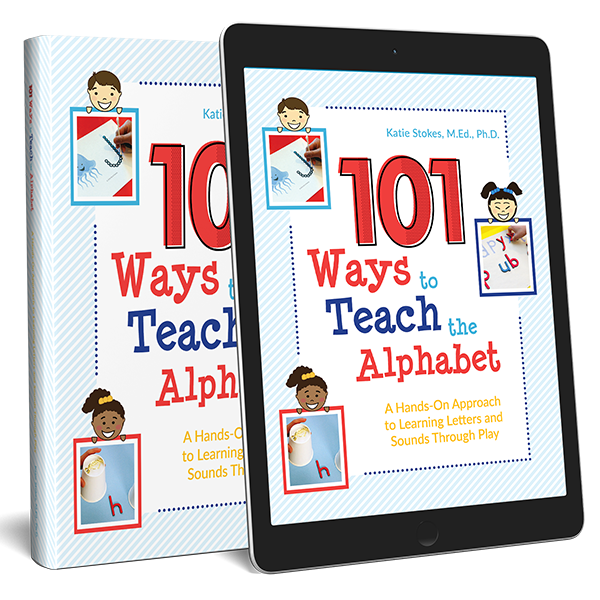 I am trying to train them to work from left to right and top to bottom when they count, as this sort of systematic approach will be useful to them in the future (and is also related to reading). 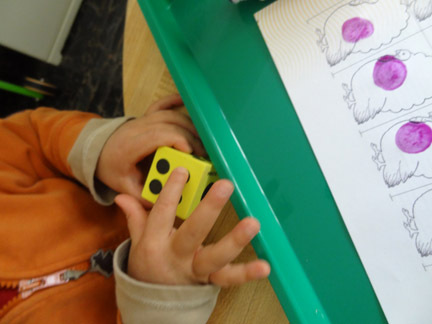 Both QBoy and XGirl enjoyed the activity, and in fact decided to switch dot paints after the first round in order to play again with a new color of dot paint. 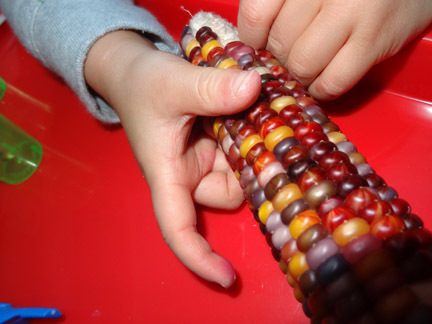 A few weeks ago the kids and I were in the hardware store when we came across some beautiful Indian corn. 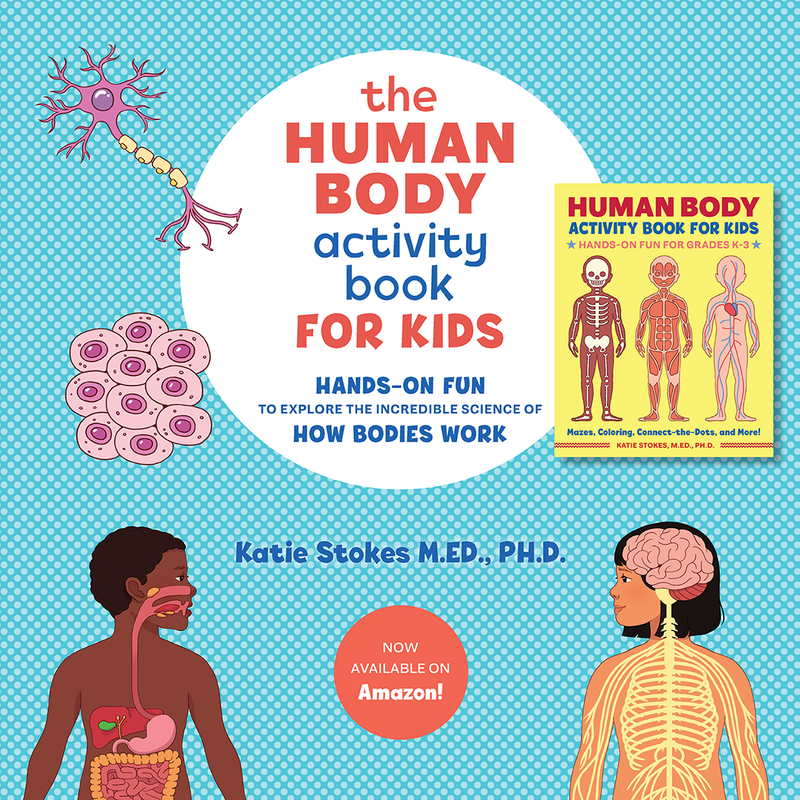 Although I wasn’t sure at the time exactly what I was going to do with it, I decided to buy it to use in some activity with the kids. 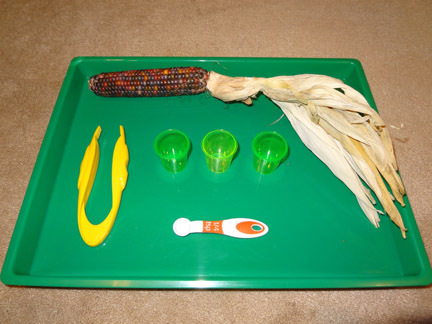 What I decided to do was to prepare a corn shucking tray for each kid that included one ear of corn, some tweezers, a small spoon, and three small cups. 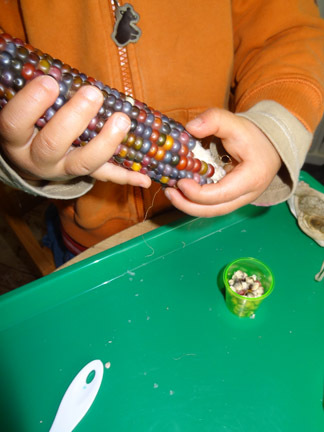 The kids were not quite sure what to make of their trays at first, but once I showed them how they could shuck the dried corn kernels off of the cob, they were very excited to get to work. 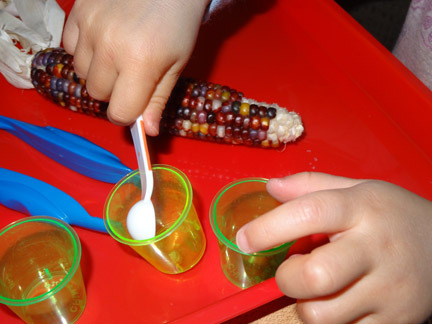 They first tried to shuck the corn using the spoon and the tweezers, but ultimately were much more successful just using their hands. 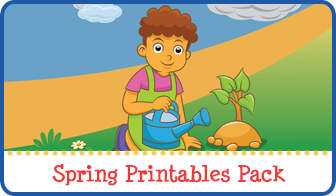 This gave them a TON of fine motor practice! Both kids enjoyed filling up their little cups and then using the spoons to stir them. 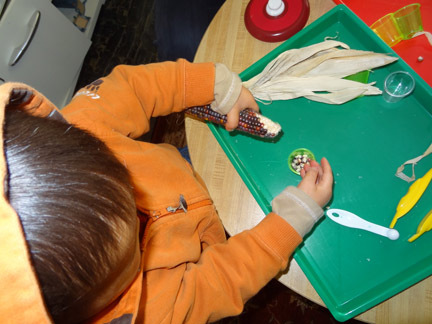 XGirl stayed engaged with this activity for about 30 minutes, while QBoy continued shucking corn for more than an hour! Grandmum told the kids how she used to shuck corn and feed it to the chickens on her grandmother’s farm when she was growing up, and QBoy decided he wanted to shuck all the corn so we could go feed it to chickens as well. Of course, we live in an urban area, so I’ll have to figure out where we will find some chickens we can feed! 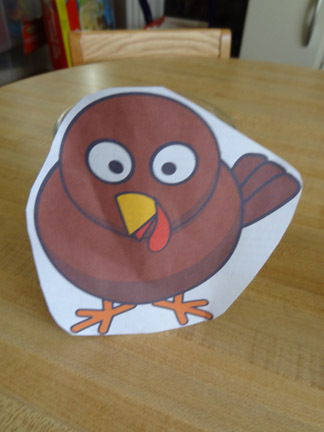 Blog Me Mom shared an idea for an open ended turkey decorating activity she did with her kids, and I decided to emulate it. I didn’t have foam turkey shapes like she did, but I printed an outline of a turkey off the internet for each kid and gathered up a variety of art supplies. Then I turned the kids loose. Both kids immediately wanted to use the glitter and glue. But XGirl then decided to glue one of just about everything onto her turkey – a bead, a googley eye, a feather, a button, a sequin, etc. 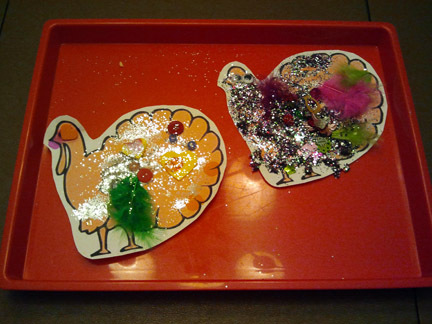 QBoy was much too enthralled with the glitter to do much else, although he did add a googley eye and some feathers to his turkey. But mostly he just kept adding glue and glitter, glue and glitter, glue and glitter until he ended up with quite a sparkly turkey! I love the idea of a feather hunt – I will definitely do it with my daughter in the next couple weeks as Thanksgiving is early here in Canada. But I might try with actual craft feathers. She is going to love it! 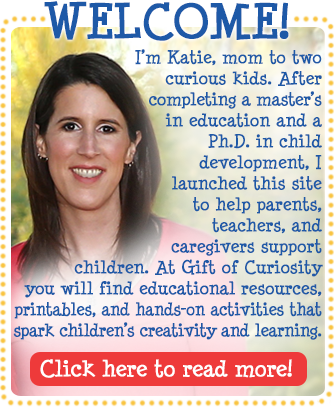 Thanks for all those wonderful ideas!